Efforts to repair the statue were begun in 2003, when a group of local Girl Scouts and elementary school students began to raise money throughout town, after reading about the monument's poor condition. This was followed by donations from private groups and individuals. 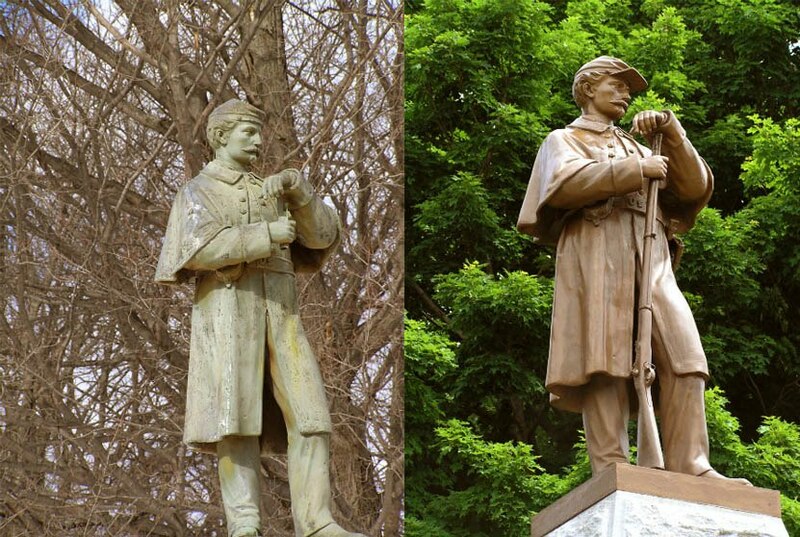 An assessment of the monument was done in 2004, with an estimated repair cost of $22,500. In May 2005, a Special Awards Grant of $500. was given to the Canney Camp from the SUVCW National Department. In July of that year, Camp #5 held a living history event at the Fitts Museum in Candia and was able to raise over $2000. A grant from the state's Conservation Committee in the amount of $10,000 came through in August of 2005. Civil War Memorial Rededication Ceremony.